Gas and bloating are no picnic. In fact, the two have a tendency to completely disrupt your regular routine and have you sitting out when it comes to everyday activities that you enjoy. 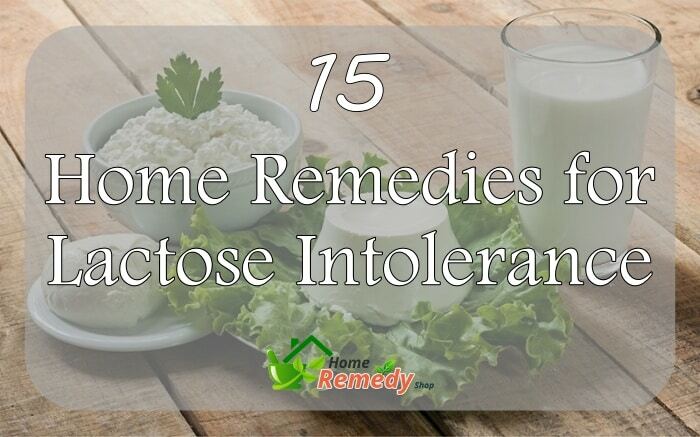 You don’t have to suffer if you make use of one of these 15 home remedies for lactose intolerance in order to avoid the discomfort which has you off your game. The problem many people have with giving up milk products, due to lactose intolerance, is that without these products they miss out on nutritional needs. The nutrition provided by milk products include calcium and vitamin D as well as other vitamins and minerals. You can replace these nutrients with other foods. Whole grains, lentils, beans and green leafy vegetables can help replace these lost nutrients. Additionally, blackstrap molasses, nuts, and seeds can also help. Your health care professional can also advise you on the use of calcium and vitamin supplements. The discomfort of lactose intolerance can sneak up on you in products which don’t seem to be milk based products. Reading labels and being well educated about where to look for lactose in non-milk based products is a must. Packaged products often include such ingredients as milk by-products, dry milk solids or non-fat dry milk powder. Instant soups, cereals, candy, non-dairy creamers, salad dressings, margarine, processed meats and other baked items often include milk in some form. A great home remedy to help relieve lactose intolerance comes in the form of chamomile tea. Chamomile tea helps to neutralize stomach acid and reduce bloating, not to mention that it helps to promote relaxation. Add 2 tsp of dried chamomile flowers or a prepared tea bag to 1 ½ cups of hot water. Cover and allow the tea to steep for 5 minutes before straining. Drink this tea two to three times daily to relieve symptoms. 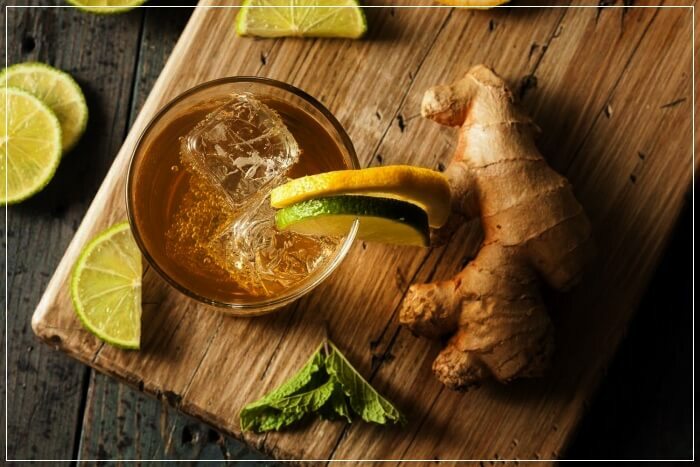 One of the best home remedies you can find to relieve the symptoms of gas, bloating and indigestion is ginger. Ginger is considered one of the best herbal remedies available when it comes to treating any form of gastrointestinal maladies. A simple and quick remedy is to chew on a ½” long piece of peeled ginger root. You can also peel and grate 1 Tbsp of a fresh ginger root, add it to 1 ½ cups of boiling water, and allow it to simmer for 5 to 7 minutes. Strain out the tea, add a little lemon and honey and drink it. Use this remedy before or after meals 3 to 4 times daily. Another digestive aid which is quite effective for bringing relief to lactose intolerance symptoms is apple cider vinegar. ACV helps to neutralize stomach acids and reduce the digestive issues associated with lactose intolerance and other digestive difficulties caused by it. Mix 1 Tbsp of raw, unfiltered apple cider vinegar in a 12 oz. glass of warm water. Drink this first thing in the morning on a daily basis for several weeks. Milk is often necessary for cooking and certain drinks, but you can make use of milk substitutes to avoid the complications of lactose intolerance. Making use of alternatives to milk in baking and condiments like butter can help reduce or eliminate the amount of lactose your stomach has to digest. Alternatives to milk include coconut milk, almond milk, rice milk, soy milk, hemp milk and oat milk, among others. Coconut oil and purees of apples, bananas, and prunes can be viable substitutes for butter. Though both kefir and yogurt are considered milk based products, their probiotic properties are actually beneficial for treating lactose intolerance. 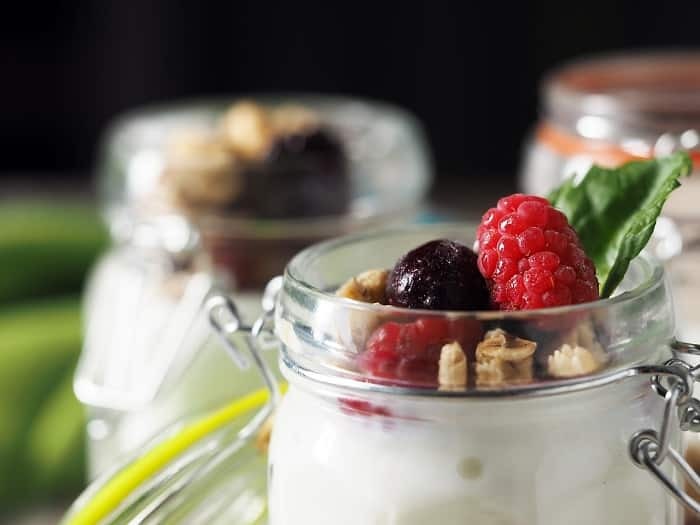 Studies indicate that kefir and yogurt actually reverse the digestive difficulties associated with the digestion of lactose and help to reduce the symptoms by helping to break down lactose in the intestinal tract. Drink a ½ cup of kefir daily gradually increasing to a higher level of tolerance. Consuming ½ cup to 1 cup of Greek yogurt daily is also an option. Because of its lower levels of lactose, hard cheese can be used in place of other soft cheeses to prevent the symptoms of lactose intolerance. Hard cheese is a full-fat dairy product. These products tend to have lower levels of lactose that low-fat or non-fat varieties. Fat slows the passage of lactose in your digestive system. Hard cheeses include asiago, parmesan, romano, dry Monterrey jack, aged provolone, gruyere, aged gouda, aged cheddar, and ricotta. Certain times of aged Swiss cheeses and blue cheese are also considered hard cheeses. Some who suffer from lactose intolerance are able to substitute cow’s milk with goat’s milk. Because goat’s milk is higher in fatty acids, it is more easily absorbed without issues. In addition, because the fat particles of goat’s milk are smaller, it digests much faster, which tends to make it more digestive tract friendly to those who have trouble with lactose. Try ½ cup of goat’s milk daily and slowly build up until you reach a level of tolerance. Cheeses and butter made with goat’s milk might also be better tolerated in moderation. The deficiency of vitamin K tends to add to the problem of lactose intolerance. Not only it plays an important role in calcium absorption, but it also helps with metabolism and hormone regulation. Vitamin K becomes deficient in those who suffer from IBS, leaky gut, extensive antibiotic use, and cholesterol medications. Natural sources of vitamin K include green leafy vegetables, Brussels sprouts, cabbage, cucumbers, basil, and scallions. Additionally, fermented dairy products like yogurt and kefir are also rich in vitamin K.
A number of studies have shown that bone broth helps your body to overcome food intolerances and sensitivities, thus making it an excellent home remedy for treating lactose intolerance. The broad range of minerals along with collagen and gelatin, which are extracted out of the bones during boiling, help to eliminate and reverse lactose digesting issues. Drink 8 to 12 oz. of beef bone broth on a daily basis. Alternately, drink 8 to 12 oz. of chicken bone broth every day. Another home remedy which can help to relieve lactose intolerance comes from coconut oil. 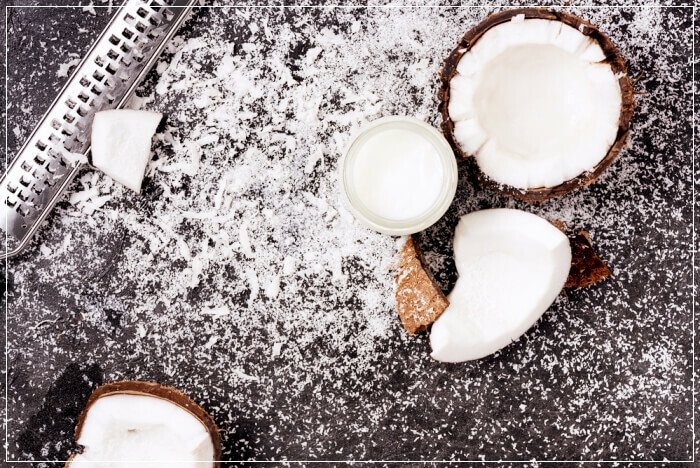 The medium chain fatty acids found in coconut oil make it an excellent and extremely healthy substitute for a number of milk based products. It helps to fight inflammation, boosts the immune system and even prevents bone loss. Coconut oil is an excellent replacement for butter or cream cheese spreads. It can also be added to coffee or tea in place of creamer. Use coconut oil in smoothies. Replace sour cream with coconut oil on baked potatoes. Improved digestion and reduced inflammation are both benefits of ghee which aid in bringing relief to lactose intolerance. The way in which ghee is processed removes the lactose. Ghee is high on conjugated linoleic acid (CLA), which helps to improve a number of healthy body functions. Ghee can be used in similar fashion to coconut oil. A list of home remedies for the treatment of lactose intolerance has to include saffron. Saffron helps to coat the walls of the stomach, small intestine, and colon, which helps to reduce or eliminate the symptoms of lactose intolerance. Saffron is effective at relieving indigestion, gas and bloating symptoms. Add 6 to 8 strands of saffron to 1 ½ cups of boiling water. Strain out the tea, add honey and drink. You can add ginger or turmeric along with a cinnamon stick for flavoring and help reduce inflammation and indigestion issues. One of the best-known treatments for all of the symptoms associated with lactose intolerance includes fennel seeds. Fennel seeds are well known for being an excellent digestive aid as they eliminate indigestion, gas and bloating. is another natural treatment for dealing with lactose intolerance pain. You can thoroughly chew and swallow fennel seeds after every meal, especially those which included milk-based products. You can also make tea by adding 1 tsp of fennel seeds to 1 ½ cups of boiling water, allow them to simmer for 10 minutes and then strain out the tea. Consume either of these remedies three times daily. You can remain active and not have to interrupt your regular daily routine due to gas and bloating. Just make use of several of the 15 home remedies for lactose intolerance we’ve laid out for you above and find the relief you need to keep going strong. Please don’t forget to add any comments, questions or additional remedies, which you might have, in the section below. Georgia has graduated from a nutrition expert degree and her work involves some freelance blogging on the side of her main part time job in a doctor’s office. She doesn’t travel a lot due to work constraints, but she likes going out as often as she can to compensate.